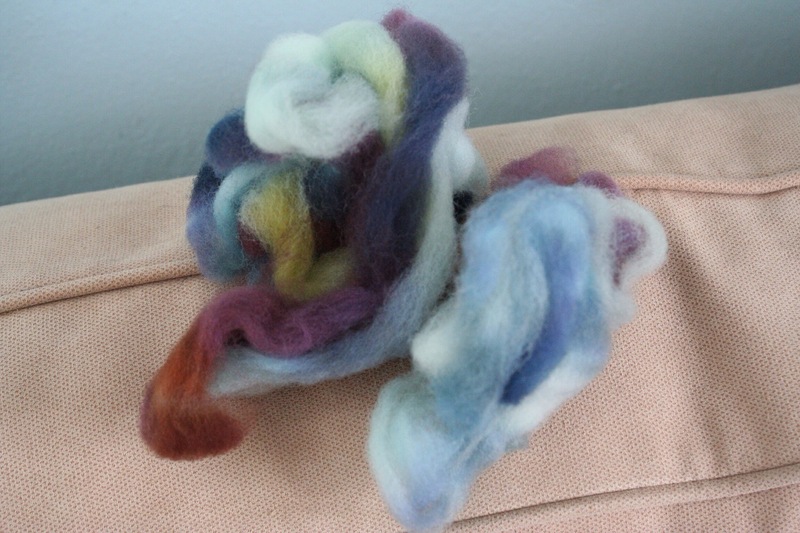 I’d never spun Southdown before, and I liked it! 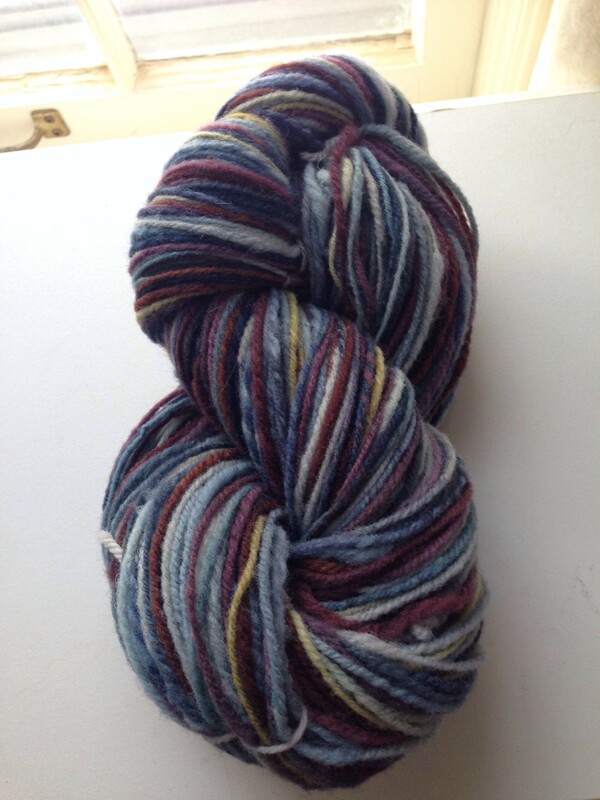 I spun it up into 332 yards of light worsted chain-ply, slated for socks for one of my kiddos. One of these days. 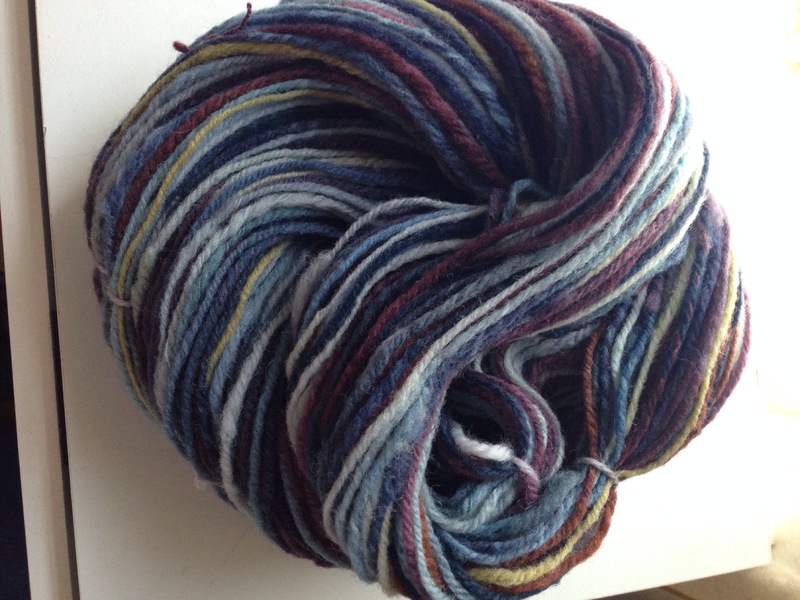 I split the fiber to yield short repeats of the color changes, and the yarn turned out pretty much exactly as I’d hoped.